Funds at the Community Foundation support many community needs. Some funds are created by donors to grant to one or more named organizations or purposes year after year. Other funds are used for the discretionary grant making of the donor, who makes specific grant recommendations from time to time to support his or her particular charitable interests. If you’re interested in establishing a fund at the Community Foundation to support your favorite causes please click here and/or contact Linda Speed at (812) 948-4662 or lspeed@cfsouthernindiana.com. If you are a donor or fund representative who wishes to make a grant recommendation, you can find the form you need here. If you are a donor or fund representative who has questions about your fund, you may contact Crystal Gunther, Director of Community Philanthropy, at (812) 948-4662 or cgunther@cfsouthernindiana.com. The Foundation’s unrestricted endowment (our Community Impact Fund) welcomes applications and project proposals from nonprofit and charitable organizations through the Community Grants Program. CFSI wants to help these nonprofit organizations fulfill their mission and meet the needs of our community by accepting grant requests and making the application process open all year. To better suit the needs of our community and provide more impactful grant making, organizations can apply for a Community Assist Grant. Community Assist Grants are for support of a program or activity through a one-time grant with a grant value of $1,000-$5,000. Click here for a great example of an Assist Grant project. The Foundation intends for Assist Grants to be available for any focus area but support a program or activity through that will positively impact the lives of people living in Clark and Floyd counties. Nonprofit organizations that have questions about the appropriateness of a proposed request can contact Crystal Gunther, Director of Community Philanthropy, at cgunther@cfsouthernindiana.com.  For larger grants, Community Foundation of Southern Indiana Board of Directors has adopted a quality of place focus for our larger grantmaking. Our aim is to drive community impact in areas that will improve our overall quality of life and spur new growth and opportunity for our entire community. “Quality of place” means the characteristics of our Southern Indiana region that make it distinctive from other places and attractive as an area to live, work and play. It includes our environment, cultural amenities, and recreational opportunities as well as our civic traditions. We believe that as these quality of place factors improve, greater economic growth and development for our region will follow, benefiting all residents and organizations across our community. We will bring you more information about this exciting change to our grantmaking soon! Please Note: Assist Grants do not need to focus on Quality of Place. Grant application periods will be open all year round with quarterly deadlines and awards, allowing organization to apply for grants to fulfill their needs when the time is right for them. If you represent a charitable organization and you wish to apply for an emergency grant, you will need to click here and review our Emergency Grants Policy and then complete an Emergency Grant Request online. Nonprofits considering applying for a grant from CFSI should study the Foundation’s Community Needs Assessment to ensure their grant would address a community need. In 2015, CFSI surveyed Clark and Floyd county residents, nonprofit community service organizations, business and community leaders, and our own fund holders to develop strategic community goals based on needs and priorities. The 2015 Assessment of Needs and Priorities in Clark and Floyd Counties has highlighted our area’s greatest needs, the highest priorities for funding, as well as the gaps and overlaps in services and in funding. This report is helping the Community Foundation of Southern Indiana focus our grant making from the unrestricted Community Endowment Fund to directly address the greatest needs of our region as identified by our community’s residents, businesses and community leaders, and nonprofit service providers. Click here to learn more about the Community Needs Assessment.